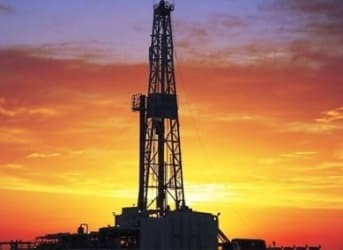 This Week In Energy: Are We Experiencing A False Dawn For Oil Prices? Oil prices continue to show some strength, closing out the week near their highest levels for 2015. The EIA reported another slight decline in oil production in the United States, the third decline in four weeks. For the week ending on April 17, the U.S. was producing 9.36 million barrels per day, a drop off of about 22,000 barrels per day. Crude inventories did rise, however, indicating that there is still a lot more production than refineries can handle. But on the other hand, gasoline stocks were drawn down by 2.1 million barrels, suggesting demand is gaining some momentum. Another reason why oil prices may not surge much higher than where they are now is that Saudi Arabia is clearly stepping up its production levels in order to keep the pressure on high cost producers. Saudi Arabia is dipping into its spare capacity – the only real reserve potential in the world – in order to raise output to their highest levels in decades. Those additional flows, pushing OPEC production well above its stated quota, will keep the market saturated. Over the longer-run, if Saudi Arabia produces flat out and shrinks its spare capacity to low levels, the markets will grow nervous about inadequate backup supplies and will bid up oil prices. But in the near-term, higher Saudi output will keep prices from rising much beyond the $55-$70 range. Earnings season is underway and there will be a lot of attention paid to the results from the first quarter in the oil industry over the next few weeks. With across the board spending cuts, many of the larger producers that are not in a distressed situation have an opportunity to slim down and rein in costs and right-size their spending for the next decade or so. Some of the gargantuan oil projects of the future may no longer be green lighted the way that they were in the past, as the oil majors focus on providing shareholder value. Aside from Eni (NYSE: ENI), most of the oil majors insist that their dividend payouts –a semi-sacred policy for the biggest companies – will not be touched. Back in the United States, scientists working for the state of Oklahoma have concluded that the disposal of water after fracking is contributing to a monumental increase in the frequency of earthquakes hitting the state. Although scientists have suspected a strong link between disposal wells and seismic activity for some time, officials in Oklahoma have been slower than others to come to such a conclusion. But the number of earthquakes has become too hard to ignore. Oklahoma has seen its seismicity rate skyrocket – it is now 600 times greater than it was in 2008. Regulators are not necessarily cracking down at this point, as they do provide quite a bit of leeway to the industry. But the statement released by state seismologists this week was the strongest worded statement yet, possibly portending more of an active approach in the future from a regulatory standpoint. Coal mining giant Peabody (NYSE: BTU) reported disappointing figures for the first quarter. In a sign of the times, Peabody is struggling under weak coal prices, weak demand, and oversupply. The U.S. is rapidly switching from coal to natural gas in the electricity sector, undercutting demand. Also, coal demand in China is much softer than the company (and the industry) had expected. It points to an interesting trend unfolding – countries around the world appear to be moving much faster than expected towards natural gas. That bodes well for LNG exporters, but not so much for coal producers. There is an unmentioned/ tangentially mentioned, significant variable, perhaps two - three. In recent years, there has been a latent but growing concern that the US debt has become so large, it can never be re payed. If true, the green back will go the way of the Confederate dollar, or German Reich mark, worthless. When this occurs, people put their wealth in commodities, things. Diamonds, gold or today, the fungible thing, a barrel of oil. $150/ barrel has a numerator and a denominator, when one weakens, the other changes. The dollar changes due to Greek debt, the stability of the Euro, wars in Ukraine and Syria, possibly in Iran and China's competitive economy. Due to fracking, a miracle of electronics and material science, Americans have accessed oil and gas under our own dirt. This breaks us free from the middle east quasi monopoly. That, and our anemic economy drove the oil price down below $50, where it will remain for some time. The Fed's dream to pay off the debt due to a robust economy is dust. I do not believe climate change will significantly impact our thirst for carbon fuels. The economic pain would be far more than any politician could fudge. Barring war, the US will float in the $ 50 (WTI) range for many months, perhaps the election day results. Data shows that 60% of the oil storage growth came from increased imports.